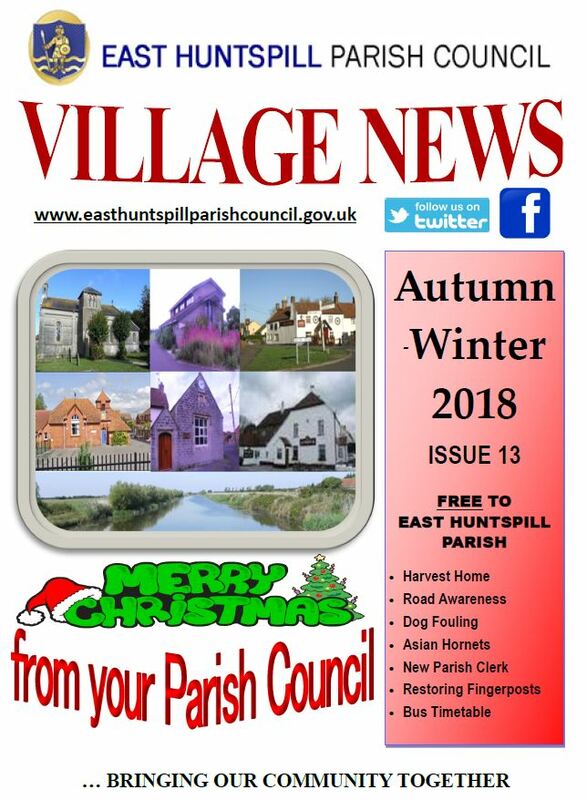 The next issue of East Huntspill Parish Council Magazine "Village News"
will be delivered in November 2018. If you wish to place an editorial item in the Parish Council magazine "Village News", then please contact the Parish Clerk. Also, if you do not receive a copy and would like one delivered, please also contact the Parish Clerk or a member of the Parish Council.